Entries are possible ONLINE only with CREDIT CARD PAYMENT in the website www.enternow.it or directly from this link. Entries to the DoloMyths Run Skyrace will open on January 10 2019 at 12.00 p.m.
A copy of the update medical certificate (download here) for agonistic sports valid by the day of the race, MUST BE PROVIDED directly at the race office at the withdrawal of the bib number. Competitors who have already run the race must provide the best time of the previous editions in the entry form, while those who take part to the race for the first time must indicate a supposed average time. Those who do not provide this data will compulsory start in the first starting wave. The payment of the entry fee entitles each athlete to the bib number, the refreshments along the racetrack, the return by cable-car and the lunch after the race. The bib numbers can be collected at the race office by the Canazei Town Hall in Piazza Marconi. At the withdrawal of the bib number each athlete must pay a deposit of 20,00€ that will be refunded at the restitution of the timing chip. 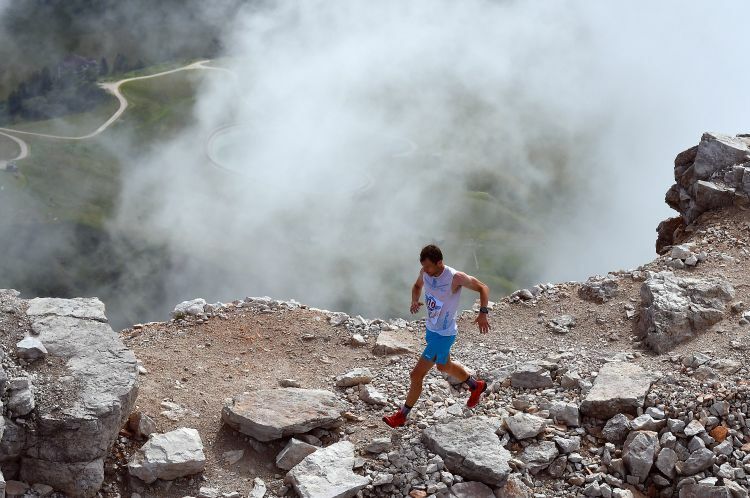 The maximum number of athletes admitted to the DoloMyths Run Vertical Kilometer is fixed in 300. Tel. +39 041 990320 / E-mail: dolomites@tds-live.com / www.tds-live.com. Athletes must provide for their own accommodation. For further information you can contact the Canazei Tourist Information Office at the phone number +39.0462.609600 or by mail.infocanazei@fassa.com. It is no longer possible to get a voucher to park motorhomes. Ask directly for info and booking to the Campsites of the Valley. 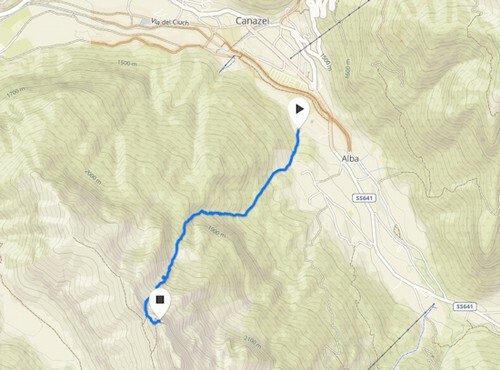 The race will start at 9.00 a.m. in Ciasates nearby Canazei. The start will be in waves: 20 athletes starting every 4 minutes. Athletes belonging to the “Junior” cat. (from 16 to not yet 18 years by the day of the race – see special Juniors Special Rules) will start first. Athletes with highest times obtained in the last previous editions or who take part to the race for the first time. At 10.30 the top-runners will start. The competition is open to italian and foreign runners, with an update medical certificate for agonistic sports, released by a sports doctor valid by the day of the race. Compulsory equipment: Windbreaker. Competitors must wear their bib number not to be modified, folded or cut for whatever reason, with the number always visible. The use of poles is optional. Rules will be enforced according to ISF. The Organization will manage the transportation of the athletes’ clothes to the arrival area. The withdrawal of the clothes must take place within 8.30 a.m. The Organizing Committee cannot be held responsible for any theft, loss or damage that may occur to personal properties left unattended in the start/arrival area and in the pavillion. It is absolutely forbidden to run back down to valley along the racetrack. The return is possible only by cabin-lift from the Ciampac area. Free transportation for athletes by showing the bib number. If the weather conditions are considered dangerous for participants, the jury has the authority to change the course or cancel the competition at any time. Registration relieves the Organization of civil and criminal liability for any damage that may occur to persons or property before, during or after the competition. The committee has taken out an insurance against civil liability for risks related to the organization of the race. However participants are not covered by this insurance. The race is open to all the athletes who are already 16 and not yet 18 years old by the day of the race, with a written consent of his/her parents or the person who has his/her parental authority. At the withdrawal of the bib number a minor’s parent must appear in person and provide consent, authorizing the participation of the minor to the race, subscribing on his/her behalf a form to relieve the Organization for any accident or injury that may occur to his/her son/daughter during or after the race on their way back to valley in case of withdrawal from the race. The Organizing Committee declines all liability that may occur to the minor after or in case of withdrawal from the race. A parent or the person who has his/her parental authority must be always present along the racetrack and in the finish area to accompany the minor after the race or in case or withdrawal from the race. The Organizing Committee members cannot be held responsible or guardians of the minors registered for the race. It is absolutely forbidden to run down back to valley along the racetrack. Indications on how to go back to the starting area will be provided by the Organization. At the withdrawal of the bib number an update medical certificate for agonistic sports valid by the time of the race must be provided. The racetrack for the athletes of the Juniores Cat. 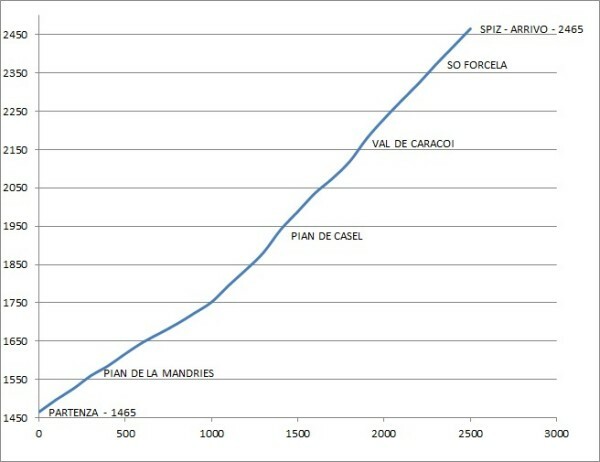 is the same of the seniores category, with the same ascent degree. No alternative racetrack is foreseen. The start for the athletes belonging to the Juniores Cat. will be at 9.00 o’clock in the same group, notwithstanding results or rankings obtained in other national or international races. Athletes belonging to the Juniores Cat. will be ranked in a special Juniores rank, male and female, together with their inclusion in the final general rank. The prize-giving ceremony is scheduled at 3.00 p.m. The first three athletes ranked, male and female, wil be awarded with race gadgets or fringe benefits. Athletes belonging to the Juniores Cat. must anyway respect the race regulations in force. ENTRIES: The entries to for the athletes of the juniores cat. are the same ones. See The Entries section of this website. GENERAL RULES: Juniores athletes, for what not mentioned in this present regulation, must respect the race rules in force (see the “Rules” section of this website).